Home needed:	Bertie is looking for an experienced home with a suitable jockey where he can continue his education and be started as a ridden or driven pony. He is good with mares and geldings and has shared his field with sheep. Description:	Bertie is a very sweet natured little pony who is good and quiet to handle and is eager to please and very honest, especially for his age. Before coming to us Bertie had had very little handling and so was a blank canvass but he has come on in leaps and bounds. Once he knows you he is good to catch and he will happily stand and be groomed by a child. Bertie’s education at Totem has included getting used to umbrellas, flags, tarpaulins and even walking over corrugated sheets on the ground. He is also used to pushchairs. He has been long-reined and happily wears a bridle with a snaffle bit. He is also used to wearing a saddle and since we have no jockey small enough Bertie has only been ridden thus far by ‘Riding Teddy’ who is a decent weight and wobbles a lot but causes Bertie no concern. Riding teddy has been on Bertie whilst he is lunged and long-reined and enjoys a walk and trot. Bertie is now ready for the next stage of his education. Everyone at Totem loves Bertie to bits and wants to find him a permanent loving home – perhaps where he can be brought on as a driving pony too – so he has a job to do when he’s outgrown. Bertie has no health worries that we are aware of. 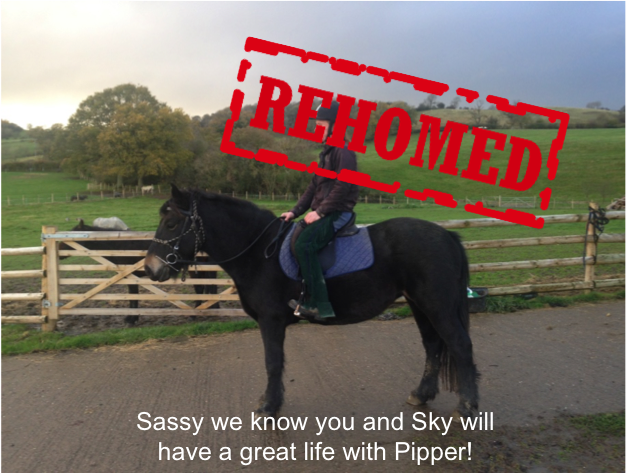 Home needed:	Although about 7 Sassy was only backed in April 2014 and so we requires a very experienced home to continue her education. She happily lives in (with daily turnout) or out and is good with both mares and geldings and is very amiable with other equines in the field. She is also used to grazing with sheep. Description:	Sassy had had very little handling when she came to us two years ago with her foal at foot. She was terrified of people but was an excellent mother and would happily follow her foal in and out of the stable – as he was very well handled. With gentle and consistent handling she has gained a huge amount of trust and is eager to please. If she has trust in you she is very quiet and will do anything for you but she is still very green so needs a very confident but quiet rider. Sassy hacks out alone and in company and she is generally good with traffic on quiet lanes through the village but again is green and will occasionally lose confidence and needs encouragement. She is snaffle mouthed, stands still to mount and has excellent manners on the ground. She has been to a western trail camp, where she was commended for her manners during groundwork and indeed led some of the older more experienced equines over obstacles, when they spooked. She also overnighted there in a pen and took it all in her stride. She has also done a bit of Le Trec and would be very good at this with practice. Her lateral work is good and she has had a go at mounted games. Sassy will happily walk over tarpaulin, corrugated sheets and other obstacles and she is used to umbrellas and is very good with dogs, hacking out with one following behind. Sassy is good to catch and groom and loads and travels well with patience. She has no health issues we are aware of. 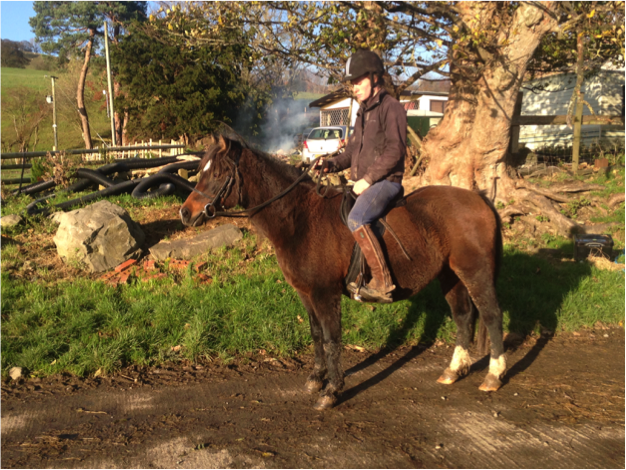 Home needed:	George was already backed when he came to us via the RSPCA and since we don’t have a jockey small enough he requires an experienced home with an adult who will be able to continue his education – even with a novice rider on his back. As far as we are aware he has only been a lead rein pony so he would need more work to be ridden independently but could equally make a nice driving pony with training. He happily lives out (but is happy in at night in winter if needed) and is fine with mares and gelding as well as youngsters and sheep. He has no health issues but his weight will need to be monitored. He is passported and registered with the Shetland Pony Stud Book Society and would do well in the show ring. Description:	Gorgeous George, as he is known by all our volunteers, is a handsome boy and he knows it. He is generally good to catch, lead and handle and around people, dogs and other ponies. However, being a typical Shetland he sometimes tries it on with new people and needs to be reminded of the importance of manners and not pulling towards grass etc, when he is being led. He is good to load and travels well and is also keen to come over for some attention in the field. Home needed:	Chorus is a forward going pony looking for a home as a second pony for an experienced rider and would happily give the occasional lead rein ride to a younger sibling. She is happy to live in ( with daily turnout) or out ( with shelter) and is fine in the company of mares and geldings and is used to sharing a paddock with sheep. Description:	Chorus came to us direct from the woman who bred her, due to a change in personal circumstances, so unusally we know her full history. Since being outgrown by the ladies children she went on loan for several years on the Pony Club circuit, where she did camp, games etc and also hunted. Chorus is a great pony if you take the time to get to know her but she can come across as grumpy if you try to rush her – probably as a result of years of being pulled around. She is currently ridden in a Parelli hackamore but can be ridden in a snaffle bit. 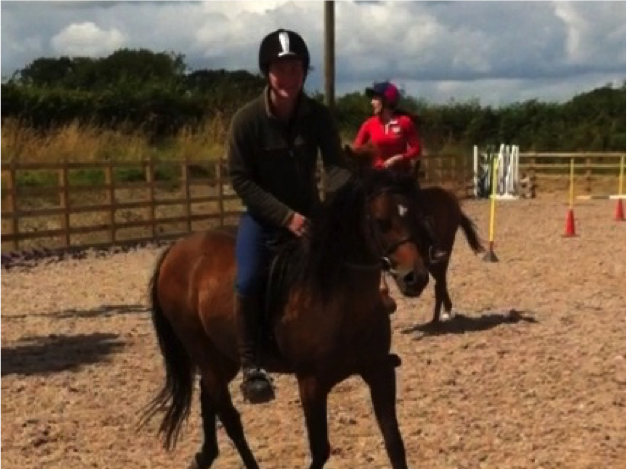 Chorus is a fast little games pony and does jump and is very forward going on fun rides. However, whilst she is good at games, she must go to a home where she will get a good mixture of activites, including hacking as she deserves lots of love and time not just a home as a riding machine for a child that has no interest in caring for her. She is currently barefoot and may not need shoes depending on how much road work she is doing. Once she knows you she is generally good to catch, groom and loads and travels well. She does not have any health issues that we are aware of but as with all equines her weight will need to be monitored to ensure she does not get too fat and may have had laminitis in the past. 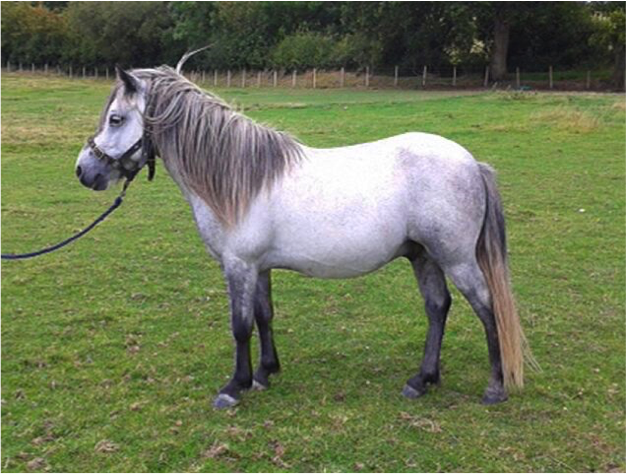 Home needed:	Holly is looking for a home as a ridden as second pony. She happily lives in (with daily turnout ) or out and if fine with mares and geldings. Holly has cushings and although she is not on medication it will need to be monitored and she will need to be clipped and rugged if in regular work so she doesn#t get too hot. 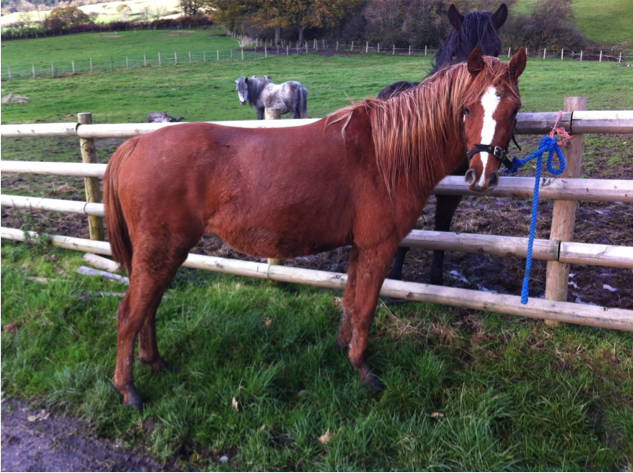 Holly has had laminitis in the past and this will need to be monitored. Description:	Description: Holly is not a novice ride as she is very forward going. She has done Pony Club, Hunted and mounted games which she is very fast at. She jumps and has enjoyed local shows and mounted games competitions. She is ridden in either a Parelli hackamore or snaffle and although strong she does have good brakes. She is generally good to catch and fine with the farrier and currently barefoot. She travels well in a trailer and is generally good to load but you need to take your time. Holly is safe enough for a child to lead and groom and although a second pony, she would be happy to occasionally give a lead-rein ride to a younger sibling. 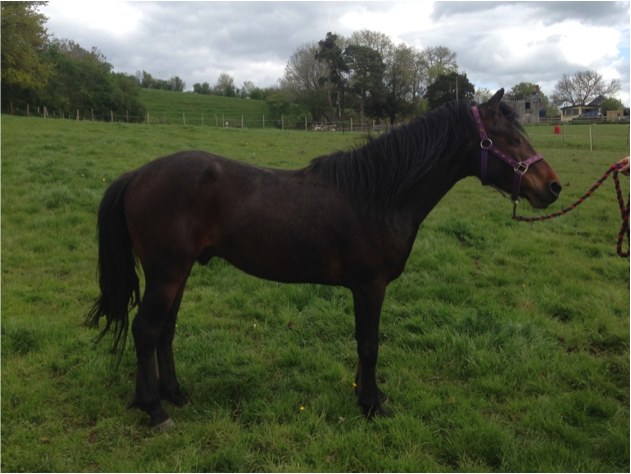 Home needed:	Cecil has not yet been gelded, as one of his testicles has not yet dropped, so he would need to go to an experienced home without mares where this can take place, when the time comes. 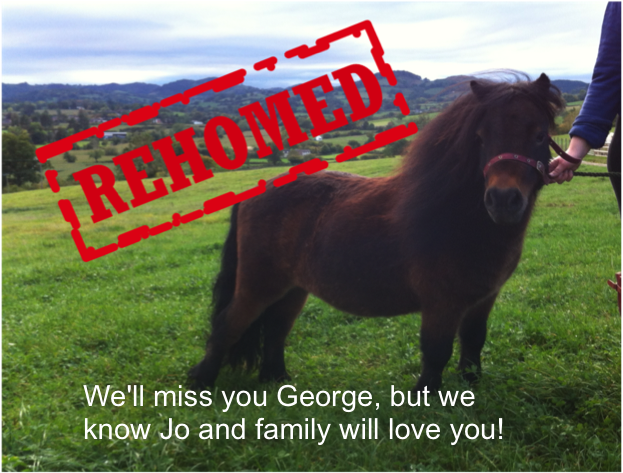 We do not rehome stallions and keeping him entire would not be an option – so please don’t ask as there are too many unwanted ponies being bred as it is. We would cover gelding costs and offer support as needed. Description:	Cecil is a very handsome youngster who came to us from an indiscriminate breeder who would rather have shot him than pay to geld him. He arrived with us at six months old with his mother Sally, who was very underweight, but gave her all to ensure he was healthy. He is a very well handled and friendly youngster who takes things in his stride. He is used to dogs, cats, sheep, and all the usual things that often spook ponies such as umbrellas, tarpaulins and even buggies. He is a typical curious youngster, who is good to catch and groom and although he has only needed to see the farrier once he was good. He loads into a trailer and has been for short journeys. Cecil is a well put together and handsome pony who is eager to please and he has very good manners on the ground. Cecil is now ready to go to a permanent home with someone experienced with yougsters who can continue his education with a view to starting him as a riding or a driving pony when he is ready. Home needed:	Billy is looking for a very experienced home with someone who has lots of time and patience to build up a close relationship with him, ideally using natural horsemanship methods. He happily lives with both mares and gelding and is used to sharing a field with sheep. Description:	Billy came to us a year ago, underweight and with rain scald after being returned to a breeder and since they had no use for him it was a case of us or the slaughter house. We were told that after he was born, Billy had to be bottle fed as his mother wasn’t producing milk, so he missed out on the goodness of her colostrum and had a very poor start in life. During the first few weeks of his life, Billy had to undergo blood transfusions, as he was lacking red blood cells and although he pulled through, we feel that this has delayed his development both physically and mentally. Billy is a very special boy, who craves the closeness of people and a one-to-one relationship with someone who wants to understand him. Without his mother around, Billy did not learn to socialise, as most youngsters do and as such he can sometimes be challenging when he does not understand what is required of him. However, once he has build up a close bond with someone, Billy is joy to be around and very willing to learn. He is looking for a home where he can continue to grow and learn and we would not want him to be started as either a ridden or driven pony until he is at least five, and only then, if he is physically and mentally mature enough. Billy is good to catch, leads well, and is good with the farrier and to be groomed and rugged. He has been walked out along quiet country roads and has even had ‘Riding Teddy’ on his back – held on either side by a person – and he took it all is his stride. Home needed:	Robin is looking for experienced home with someone who has the time and patience to give him lots of handling him and develop his confidence. 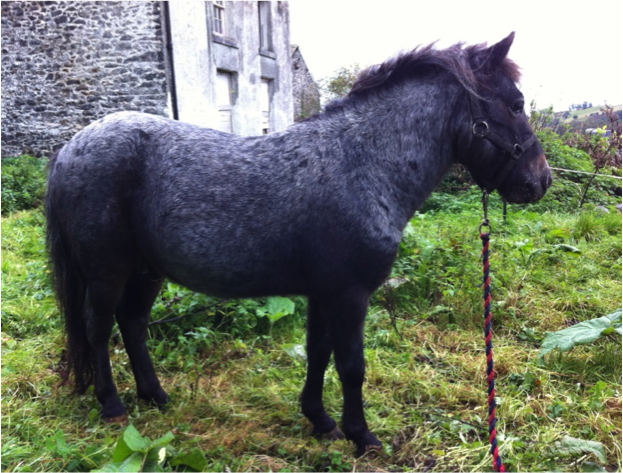 He can be a wary little pony and needs to get to know someone and build up trust but once he does he is very sweet. Description:	Robin is a young pony in need or an experienced home that can give him lots of handling and help to build his trust in someone with a view to either keeping his as a companion or possibly bring him on as a ridden or driven pony. Robin came from a indiscriminate breeder and so did not have the best start in life so would not be suitable as a ridden prospect until he is at least four to give him plenty of time to grow.